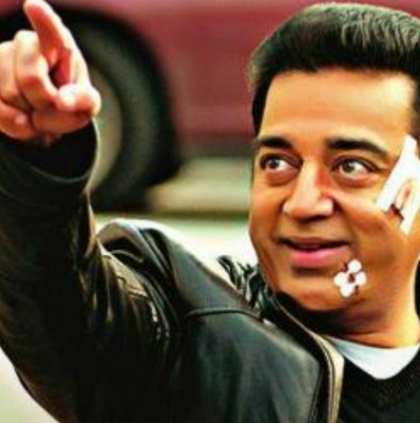 KAMAL DOES THE UNTHINKABLE FOR VISHWAROOPAM 2! Ulaganayagan Kamal Haasan knows no bounds. According to sources, he and his team behind Vishwaroopam 2 have undertaken an unthinkable feat. An underwater fight sequence has been shot for the film, as revealed by sources. The fight sequence which primarily involves Kamal Haasan has been choreographed by stunt coordinator Ramesh, who is also helming the action sequences in Rana’s upcoming film Madai Thirandhu. According to sources, ten more days of shoot are remaining for the film, after which the CG works will progress for about two months. The above-mentioned stunt sequence has apparently come out amazingly and is going to be something memorable for the audience. When Is Kamal Haasan's Vishwaroopam 2 Going To Release? People looking for online information on Vishwaroopam 2 will find this news story useful.